Are you a newsmaker, or do you know someone who is? On Monday, August 6 at 2 p.m. ET, RISMedia CEO John Featherston will dive into RISMedia’s Real Estate Newsmakers Class of 2019 nomination process, live on Facebook.com/RISMedia. Like the page to tune in! RISMedia’s Real Estate Newsmakers showcase is designed to recognize those individuals making headlines as a result of their newsworthy contributions to the residential and/or commercial real estate industries, and their efforts to positively affect real estate professionals and their consumers and communities they serve. On Facebook Live, Featherston will discuss the qualifications of a Newsmaker, as well as how easy it is to nominate yourself and/or others. As explained by Featherston, candidates can be selected for a range of accomplishments, from advancing the industry to humanitarian efforts and excellence in customer service. 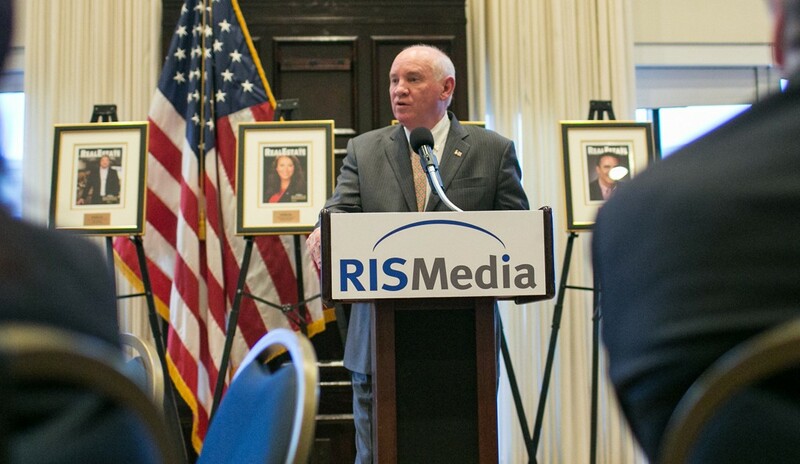 RISMedia’s inaugural Newsmakers, honored in May at the National Press Club in Washington, D.C., include Bob Goldberg, CEO, National Association of REALTORS®; Helen Hanna Casey, CEO, Howard Hanna Real Estate Services; and Joseph Rand, Chief Creative Officer, Better Homes and Gardens Real Estate Rand Realty. For more information on RISMedia’s Real Estate Newsmakers, or to make a nomination, please visit RISMedia.com/newsmaker-nomination.